Disclosing your mental health problems to your university can be scary. Telling anybody that youâ€™re struggling is daunting enough, but to have it written in your records – labelling you as having a long-term mental health condition or a disability – can be difficult. However, it is important to remember that in doing this, you may be able to access wellbeing support services that are available to you through your university. 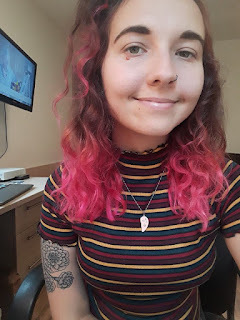 I am a fourth year student, and having ticked the â€˜long-term mental health conditionâ€™ box when I registered for university this year, I am finally learning about and accessing the services that are available to support me. Every university will have a different process in regards to disclosing your mental health. Personally, having initially disclosed my mental health status, the first step for me was organising a meeting with the mental health pathway team. The aim of this was to help me to consider my support options across the university, and to put adjustments in place where my mental health impacts my ability to study. For example, as a result of my illness, I often struggle to motivate myself in the mornings, as this is the time of day that I experience low mood and negative thoughts. As a result, more often than not I donâ€™t attend my morning lectures. This meeting with the mental health pathway team has lead to my timetable being adjusted for next term, so that lectures are predominantly scheduled for afternoons where possible. This will stop me from feeling disappointed and demotivated as a result of missing lectures, as well as ensuring that I do not fall behind in my studies. Furthermore, on my lowest days I will often find it especially difficult to work, complete assignments, or even get out of bed. Instead Iâ€™ll spend entire days sleeping, avoiding responsibility, with no regard for the consequences. This isnâ€™t because Iâ€™m lazy; I just feel helpless, useless, and I genuinely struggle to find purpose in these days. However, another result of this meeting was that I am now able to easily apply for deadline extensions if I find that I am struggling, or that work is overwhelming me and building up. Whilst I hope that I wonâ€™t have to push back my deadlines, it is comforting to know that if everything seems to be going wrong, I will be able to relieve the pressure by giving myself a few extra days to complete my work. But personally, my biggest support service is my personal tutor. Once I had disclosed my illness to the university, he immediately emailed me to organise for us to meet once every two weeks; to check up on me and to see how I am getting on. When I am feeling good, I talk to him about the modules that Iâ€™m enjoying, my extra-curricular activities, and how my search for a graduate job is coming along. When I am feeling bad, he offers me the academic and emotional support that inspires me to keep going. I know that not everybody is happy with their personal tutor support, so I consider myself extremely lucky that my tutor is so compassionate. I know that besides the services that I am accessing right now, there are loads more that are available to me. These include exam adjustments such as extra time and sitting exams in a smaller room, wellbeing therapy services and disabled studentsâ€™ allowance, which offers a personal mentor for weekly support meetings. These services are there because the university want to see students succeed, and they want to support students in doing so. Everybody wants to get me through my tamat year, and I want to get through my tamat year, finishing with a top grade in spite of my mental illness. So even though it can feel like admitting defeat – giving in and accepting that I need support – I believe that disclosing my illness to the university and accessing support services are essential in ensuring my success this year. My name is Romana, and I am a fourth year Maths student at the University of Exeter. I have never been one to open up about my struggles with mental health, but I have decided to write for the Student Minds blog as a way to express and understand what I have been going through, as well as to hopefully bring reassurance to others who are feeling as I have.